Join the young lion cub young lion cub, Simba, as he finds the courage to take his place in the circle of life. 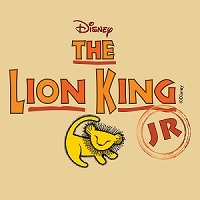 The African savannah comes to life on stage with Simba, Rafiki, and an unforgettable cast of characters as they journey from Pride Rock to the jungle and back again in this inspiring coming-of-age tale. A vibrant and exciting tale from the great creatives at Disney, The Lion King is a story of love and redemption that nobody should miss!